Since March 2007 Justice Strategies, in cooperation with Grassroots Leadership, has operated Texas Prison Bid’ness, a “blog” that keeps Texans and others around the country informed of developments in the private prison capital of the world. Texas Prison Bid’ness posts information daily about the growing prison-for-profit industry in Texas and the problems that ensue. Since 1984 when the first prison-for-profit in the world opened in Texas, the state has become home to scores of private prisons of all shapes and sizes. The blog shares information about the true costs of private prisons to the individuals, families and communities of Texas and across the country. Laws that heighten penalties for drug activity near schools and other locations frequented by youth have been enacted in all 50 states, but until recently their effectiveness had not been evaluated. Justice Strategies research finds that “drug-free school zone” laws fail to deter drug activity near schools while fueling racial disparity in imprisonment. 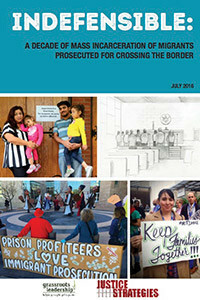 The convergence of crime control and immigration enforcement – reflected in rising levels of immigrant detention and imprisonment – has profound implications for both criminal justice and immigration policy. 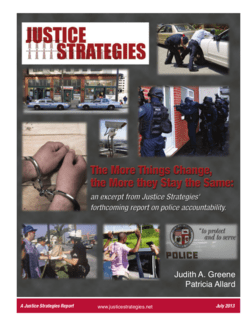 Justice Strategies tracks the growth in the number of immigrants behinds bars and documents the impact of changing law enforcement and sentencing practices on immigrant communities. Many states have responded to budgetary pressures and the failure of tough-on-crime policies by implementing sensible reforms. But others struggle with crowding and mounting costs. 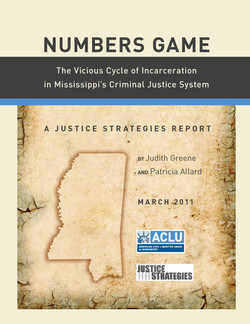 Justice Strategies has worked with policymakers and advocates in several states to pinpoint the causes of prison population growth and craft policy responses that reduce costs while improving public safety.